As you might have guessed from the lack of pasta recipes here, I’m not a pasta fan. But every once in a while I get a craving for noodles smothered in a creamy tomato sauce or a spicy pesto, and today was one of those days. This dish is on the hotter side (“arrabbiata” means “angry” in Italian), so feel free to adjust the amount of red pepper flakes you add if you’re a spice whimp. It shouldn’t be overpoweringly hot though–the fresh mozzarella makes the sauce creamy and smooth. A very easy recipe to make vegan if that’s your style–just use vegan cheese! 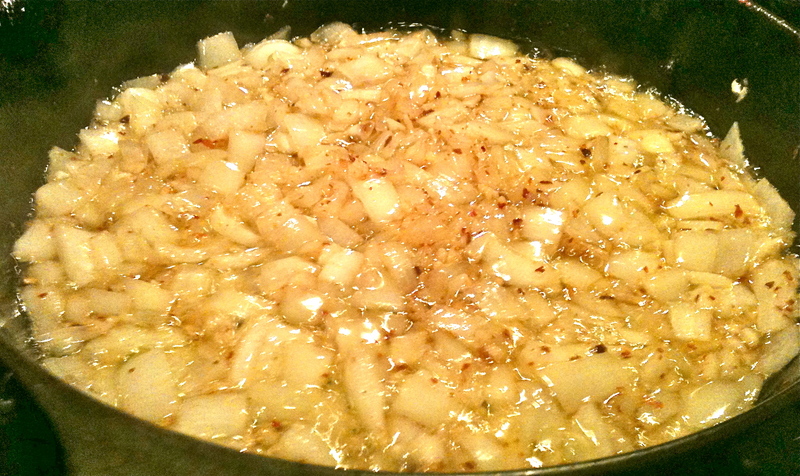 Heat oil over medium flame and add onions, garlic, and pepper flakes and cook for 2 minutes. Then add crushed tomatoes. Simmer over low heat, uncovered, until thickened, about 20 minutes. Stir in basil and mozzarella and add salt and pepper to taste. Remove from heat. While waiting for the sauce to cook, make the pasta and asparagus. Boil the pasta in salted water until tender. Drain, reserving 1 cup of the boiling water. In a separate pan, blanche the asparagus in a pan of shallow boiling water for 2 minutes until bright green and al dente. Then remove from heat and rinse with cold water; this stops the cooking process and allows the spears to keep their bright color. Set aside. Add cooked pasta and asparagus to the sauce and stir, slowly adding reserved water to create desired consistency. Top with Parmesan and serve hot. It’s the perfect dish to eat while reminiscing about a trip to Italy, like Inspired Redhead is doing today! Next Czech Goulash (Old recipe). I love a good, spicy arrabbiata and cannot wait to try your recipe. I’ve never added mozzarella to the sauce while it’s cooking – I’m very intrigued! Love the idea of adding asparagus to this recipe. My mom used to make arrabiatta for us, and it was always a family favorite. The asparagus just makes it even healthier! !